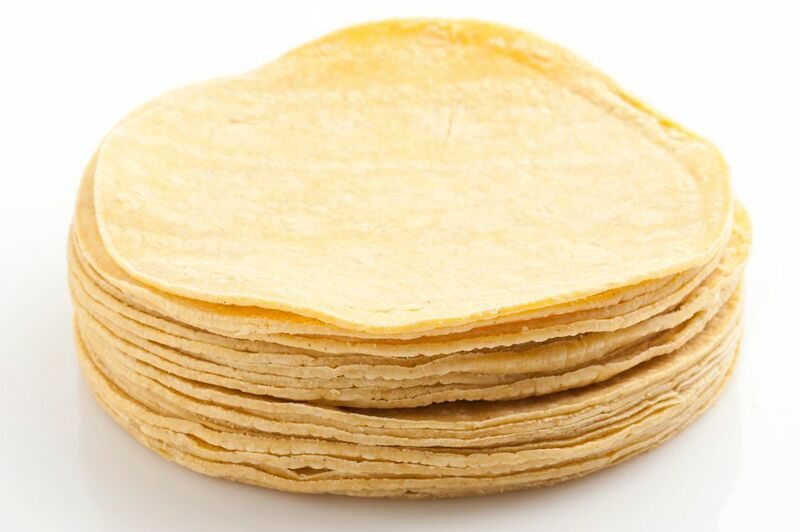 Corn tortillas are made with only 2 ingredients: corn flour (masa harina) and water. All you need are a good heavy nonstick or seasoned iron skillet and a tortilla press. I have made these tortillas several times, and they are equal to or better than ready-made. They also make delicious tortilla chips! Thanks to Judy Howle for sharing her recipe and tips for making perfect homemade corn tortillas. Heat griddle (preferably non-stick or seasoned iron) over medium heat and have ready. Mix corn flour and warm water to form soft dough. Pinch off pieces and form into smooth balls with the palms of your hands. Keep remaining dough covered with a damp cloth to prevent drying. Open the tortilla press and lay a plastic sandwich bag on the bottom half. Place ball of dough on the plastic, a little off-center, towards the hinge of the press. Place another sandwich bag on top of the ball and flatten slightly with your hand. Close the press firmly, then open. Dampen hands with a little water and peel the top bag off of the tortilla. Then lift the bottom plastic bag up with the tortilla still on it. Transfer the tortilla, dough-side down, to your dampened hand. With your free hand, carefully peel the bag off the dough. Place the tortilla on the hot griddle and cook turning only once, like a pancake. This should take about 2 minutes. If you want to make the center of the tortilla puff up a bit, turn another time and press firmly in the center of the tortilla. When done, use in your favorite taco recipe and enjoy! If the dough is thick and grainy, a little more water may be needed. If it sticks to the plastic or your hand, it is too wet and a little more flour may be added. Always keep hands damp with water when handling dough.